Because oil drums are too mainstream. 2 Responses to Because oil drums are too mainstream. 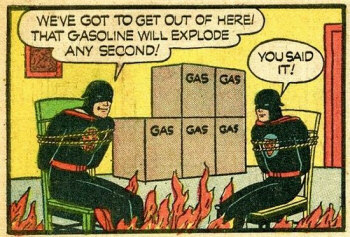 Maybe the gas can is inside the box…? It’s a matter of historical perspective, right? “People/things were square in those days.” I hear that a lot.